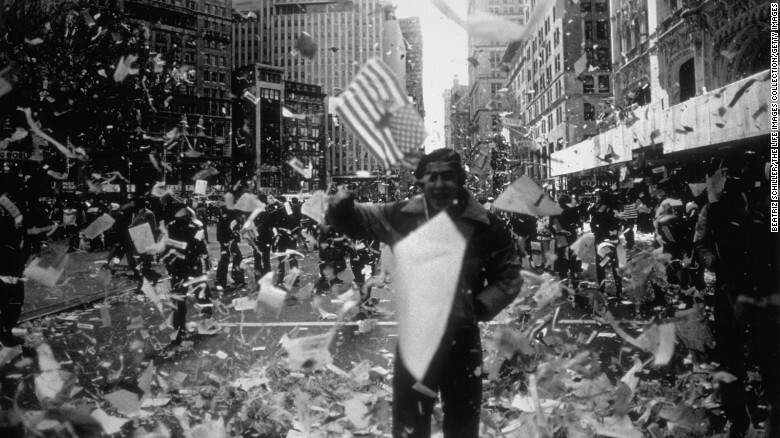 Held by Iran for 444 days, released U.S. hostages were thrown a New York City ticker-tape parade in 1981. Paul’s parade was different. First, a bit of his itinerary . . .
“Now when I went to Troas to preach the gospel of Christ and found that the Lord had opened a door for me, I still had no peace of mind, because I did not find my brother Titus there. So I said good-bye to them and went on to Macedonia” (2 Corinthians 2:12,13). Paul finds the Lord has opened a door of opportunity to “preach the gospel of Christ” in Troas (today’s Turkey). But he wants the Corinthians to know he genuinely cares for them. So he tells them, “I still had no peace of mind, because I did not find my brother Titus there.” Earlier, Paul had dispatched Titus to Corinth to discover how the church had received his letter. 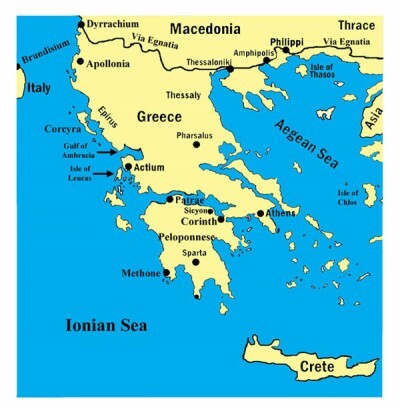 So, desperate to know, Paul “said goodbye to” Troas “and went on to Macedonia” across the Aegean Sea. There he finally meets up with Titus, who reports how the Corinthians humbly repented and how much they cared about Paul (2 Corinthians 7:6-9). Buoyed by Titus’ good news, Paul bursts out in thanks to God. It’s the start of a long digression which reveals more of Paul’s mind and heart . . . But thanks be to God, who always leads us in triumphal procession in Christ and through us spreads everywhere the fragrance of the knowledge of him. For we are to God the aroma of Christ among those who are being saved and those who are perishing. To the one we are the smell of death; to the other, the fragrance of life. And who is equal to such a task? Unlike so many, we do not peddle the word of God for profit. On the contrary, in Christ we speak before God with sincerity, like men sent from God. (2 Corinthians 2:14-17). Paul thanks God “who always leads us in triumphal procession in Christ . . . “ This is more than Paul’s rejoicing over Titus’ report; this is Paul explaining his “captivity by God in Christ and how God spreads the gospel through him. Customarily, a victorious Roman general led his conquered captives (through conquered territory or through Rome’s streets) in “triumphal procession” on their way to execution. To Paul, God in Christ is the conquering general. He’s the captive. But the picture’s a paradox. Paul’s been captured to preach the gospel, and God empowers him to do it effectively. But spreading the gospel demands significant suffering. Paul “is not saying he is being led around in triumph, but rather that, like the captives in a triumphal process, he is being treated rudely while in the service of God” (Ben Witherington, Professor of New Testament Interpretation, Asbury Theological Seminary, Wilmore, Kentucky). “For it seems to me that God has put us apostles on display at the end of the procession, like men condemned to die in the arena. We have been made a spectacle to the whole universe, to angels as well as to men” (2 Corinthians 4:9). Paul explains the reason for “thanks be to God” . . .
“For we are to God the aroma of Christ among those who are being saved and those who are perishing. To the one we are the smell of death; to the other, the fragrance of life. And who is equal to such a task?” (2 Corinthians 2:15,16). Customarily, captives being led in this procession spread incense along the way. So Paul pictures his gospel proclamation as a powerful fragrance. “ . . . as God drags Paul around as his slave, the knowledge of Christ emanates from Paul wherever he goes” (Witherington). Despite mistreatment Paul himself is the fragrance that pleases God. Two, there are two groups of human hearers, divided by the gospel itself. Paul’s gospel is “an alluring perfume, a spiritual oxygen that breathes life into their souls; to the other, a stench in their nostrils, a spiritual cyanide that suffocates and poisons them to death” (Sam Storms, Lead Pastor at Bridgeway Church in Oklahoma City, quoting Clement). Unlike so many, we do not peddle the word of God for profit. On the contrary, in Christ we speak before God with sincerity, like men sent from God. (2 Corinthians 2:17). The answer is, “No one.” So, if he’s inadequate to do the job, why not just preach for personal profit? Paul will not “peddle the word of God for profit.” The noun form of that Greek word (kapelos) refers to a merchant who regularly cheats customers by misrepresenting his product. Paul’s preaching, to the contrary, is marked by four qualities . . . He speaks “with sincerity”–that is, with pure motives wanting only that people understand the gospel. He speaks “before God”–that is, with the knowledge that God himself is hearing and judging him. He speaks “in Christ”–that is, out of his living union with the Messiah. He speak “sent from God”–that is, he speaks God’s gospel as God’s spokesman. Though we’re not apostles and not commissioned to preach the gospel as they, we too are captives of God in his triumphal procession in Christ. In other words, by saving us, God captures us. He leads us with his other “captives” in “triumphal procession”–triumphal because he saves us from sin and death. But he saves us to become part of his mission–the spreading of the good news of Jesus Christ. Through his Word and Spirit, he makes us “the aroma of Christ.” Christ is the “fragrance.” And we are to please God by spreading “the fragrance of the knowledge of [Christ].” This spreading (which has its source in God) is our mission. But this mission is war. Personal suffering is part of the battle. I have two concluding thoughts . . .
And one final (really) thought: We’re captives in Christ’s triumphal procession . . .
“One of the great gifts of Scripture is that it creates for us categories of thought that help us grasp more truth” (Piper, p. 152). That statement prepares us for this chapter as we follow John Piper in answering the question, “Is the Bible true and the standard by which all other claims to truth should be measured?” In this chapter, Piper argues that Scripture possesses a divine glory which authenticates it as God’s word. Piper’s aim in this chapter: “to shed as much light on the process of divine illumination as I can by means of four analogies . . . In other words, I am asking, what is it like to experience the miracle of 2 Corinthians 4:6?” (Piper, p. 152). The physical human body— the movement of all its part and its speech from vocal chords and brain, etc.—convinces us that it’s not just a physical body. Behind it lies a rational soul. So it is, Piper argues (with a too-long-to-insert-here quote from Jonathan Edwards), with the Scripture. It is analogous to the physical body. Behind it (or better, in profound union with it) is a divine mind. “The union in both cases is so profound that when we see the acting human body as we ought, and we see the meaning of the Scriptures as we ought, there is no conscious inferring. There is immediate light. This is a rational person, not just a body. This is the word of God, not just of man” (Piper, p. 154). Cover Rembrandt’s painting with paper leaving only a pinhole, and you couldn’t identity him as the painter. So with Scripture. Just a letter or even single word here and there wouldn’t identify God as author. The glory of God to be seen there lies in Scripture’s meaning. And to grasp that meaning and see that glory requires a sufficient account of Scripture. How much? That depends, first, on which part of the Book one looks at. Job, with its lengthy dialogues, requires a much broader view then, say, the Gospel of John or Romans. Second, it depends on the reader’s familiarity with the Bible. The glory in the Scriptures transforms the reader’s heart and mind. The more glory, the more transformation. The more transformation, the more that glory is seen. “Beholding the glory of the Lord, we are being transformed into the same image from one degree of glory to another” (2 Corinthians 3:18). This analogy springs from Psalm 36:9 (“in your light do we see light”) and from C.S. Lewis’ famous quote: “I believe in Christianity as I believe that the Sun has risen, not only because I see it, but because by it I see everything else” (p. 158). Ordinarily, when we want to evaluate some claim to truth, we try to make sense out of it based on all our experience. Does it line up with what we already know to be true? “But what happens when we encounter a claim that says, ‘I am the Standard, the Arbiter, the Truth’? . . . When the ultimate Measure of all reality speaks, you don’t subject this Measure to the measure of your mind or your experience of the world . . . When the ultimate Standard of all truth and beauty appears, he is not put in the dock to be judged by the prior perceptions of truth and beauty that we bring to the courtroom . . . The eternal, absolute original is seen as true and beautiful not because he coheres with what we know but because all the truth and beauty we know coheres in him . . . He does not make sense, and thus have plausibility in the light of this world. He brings sense to the world” (Piper, p. 158,159). When God’s Son came into the world, the “original, the source, became part of the stream of creation that flows from him . . . He is really creature, and really Creator . . . we know him to be true, not because our light shows him to be so, but because his divine light shines with its own, all-enlightening, all-explaining glory” (Piper, p. 160). It’s the same with the Scriptures “which are organically related to the incarnate Word” (Piper, p.160). Herman Bavink (19th century Dutch Reformed theologian) said, “[Scripture] is the product of God’s incarnation in Christ and in a sense its continuation” (p. 160). Piper adds, “Thus we know the Scriptures to be true, not because our light shows them to be so, but because that divine light shines with its own unique, all-enlightening, all-explaining glory” (p. 160). WHAT DID PETER SEE THAT JUDAS DID NOT? How did Peter see Jesus as “the Christ, the Son of the living God?” (Matthew 16:16). Jesus explained . . .
“Blessed are you, Simon Bar-Jonah! For flesh and blood has not revealed this to you, but my Father who is in heaven” (Matthew 16:17). All genuine followers of Jesus experienced the same: “To you it has been given to know the secrets of the kingdom of God . . . ” (Luke 8:10). This is how anyone comes to know Christ’s truth and beauty. At that time Jesus said, “I praise you, Father, Lord of heaven and earth, because you have hidden these things from the wise and learned, and revealed them to little children. Yes, Father, for this was your good pleasure. “All things have been committed to me by my Father. No one knows the Son except the Father, and no one knows the Father except the Son and those to whom the Son chooses to reveal him” (Matthew 11:25-27). In this analogy, Judas represents people who come to the Scriptures with mind and heart completely out of tune with their meaning that they can’t hear them for what they are. Peter represents people who come with mind and heart humbled by the Holy Spirit and “open to the beauty and truth of God’s glory shining through the meaning of the text” (Piper, p. 164). These four analogies illustrate how the Scriptures are seen to be God’s word by revealing his glory. “As the gospel carries in it a real, objective, self-authenticating divine glory, so . . . the Scriptures . . . evidence their own divine authority” (Piper, p. 165). Father in heaven, even though we believe the Scriptures are true (and our faith is being reinforced by this study), we sometimes read without being captivated by your truth, beauty and glory revealed there. Sometimes the words are dull and drab. Please awaken the Holy Spirit within us to open the eyes of our heart. We don’t want to just read words or commands or doctrine. Open our spiritual eyes, so that in the meaning of your words we see your beauty and your glory. And so may we love your Scriptures and love you as the greatest treasure in the world. In Jesus’ name, Amen. Confession #1: I can count on ten fingers the number of times in 44 years of pastoring I exercised church discipline. Confession #2: The older I get, the harder forgiveness becomes. I’d better explain. First, church discipline. By that I mean church elders calling a church member to repent of his sin. What sin? Not just any sin, but “something so evil that even the pagans don’t do it” (1 Corinthians 5:1,2). Or a sin that a member has refused to repent of (Matthew 18:15-18). Many church leaders argue that doctrinal error also calls for church discipline. I agree, but argue the doctrine must be foundation (such as the deity of Christ), not controversial (details of Last Day events). The goal, of course, is always restoration. Second, forgiveness. I guess I find forgiveness harder now because my age and illness tend to make me a grumpy old man. I feel weak and vulnerable. So, when someone hurts me or one I love, I retaliate. And at at this point, my only means is to withhold forgiveness (as if that hurts my offender!). Now. I drone on like this because in today’s text, 2 Corinthians 2:5-11, Paul touches on both church discipline and forgiveness. Let’s set the scene . . .
Paul had heard of urgent troubles in the Corinthian church and decided to make an unannounced visit. It didn’t go well. Whatever happened, Paul retreated quickly to Ephesus. From there he wrote a letter (lost to us) calling for the church to repent and to discipline one offender in particular. In 2 Corinthians 7:8-13, Paul refers to that letter . . . I am no longer sorry that I sent that letter to you, though I was sorry for a time, for I know that it was painful to you for a little while. Now I am glad I sent it, not because it hurt you, but because the pain caused you to have remorse and change your ways. It was the kind of sorrow God wants his people to have, so you were not harmed by us in any way. For God can use sorrow in our lives to help us turn away from sin and seek salvation. We will never regret that kind of sorrow. But sorrow without repentance is the kind that results in death. Just see what this godly sorrow produced in you! Such earnestness, such concern to clear yourselves, such indignation, such alarm, such longing to see me, such zeal, and such a readiness to punish the wrongdoer. You showed that you have done everything you could to make things right. My purpose was not to write about who did the wrong or who was wronged. I wrote to you so that in the sight of God you could show how much you really do care for us. We have been encouraged by this. In addition to our own encouragement, we were especially delighted to see how happy Titus was at the way you welcomed him and set his mind at ease (NLT). Years ago commentators supposed the chief offender to be the incestuous man of 1 Corinthians 5. More recently commentators hold him to be a particularly boisterous adversary of Paul who was leading the church into some of the sins Paul confronts in 1 Corinthians. Whoever he was and whatever wrongs he’d committed, the church repented and disciplined the offender. Apparently, he too had repented. Now, Paul urges, it’s time to forgive him . . . If anyone has caused grief, he has not so much grieved me as he has grieved all of you, to some extent– not to put it too severely. The punishment inflicted on him by the majority is sufficient for him. Now instead, you ought to forgive and comfort him, so that he will not be overwhelmed by excessive sorrow. I urge you, therefore, to reaffirm your love for him. The reason I wrote you was to see if you would stand the test and be obedient in everything. If you forgive anyone, I also forgive him. And what I have forgiven– if there was anything to forgive– I have forgiven in the sight of Christ for your sake, in order that Satan might not outwit us. For we are not unaware of his schemes (2 Corinthians 2:5-11). A few points call for comment . . .
PAUL’S CONCERN FOR THE PENITENT OFFENDER. ” . . . you ought to forgive and comfort him, so that he will not be overwhelmed by excessive sorrow.” However egregious the sin or stubborn the sinner, he’s repented. He mustn’t be left drowning in sorrow outside the church community. Again, the goal of church discipline is restoration. Every confessed sin, however evil, must be forgiven by the church because it is by Christ. This seems inapplicable to us, because these days a church-disciplined member simply picks up his Bible and joins the church down the street. I get that from Paul writing, “I have forgiven [him] in the sight of Christ for your sake . . . ” I say be the “first forgivers” like the “first responders.” Get it? The leaders set the forgiveness example, even if they have been especially sinned against. If any leader holds a grudge, it will grow into bitterness. And bitterness becomes known. And spreads. Soon a whole group hold hard hearts against the penitent member. A sharp disagreement arose between the elders and me. This was years ago in New Jersey. I don’t remember the issue (really), but I was convinced I was right (really). Since we couldn’t resolve it, we called the state superintendent of the denomination to which we belonged. Surely he’ll support his pastor! I thought. Nope. As wrong as those elders were (really), he caved. It took months to get over my anger and forgive the guy. Had I not, bitterness would have spread and infected the church one way or another. SATAN SCHEMES TO USE UNFORGIVENESS TO HIS ADVANTAGE. Paul forgives and urges the church to forgive “in order that Satan might not outwit (or gain advantage over) us. For we are not unaware of his schemes.” When was the last time the devil showed up in your church’s pulpit wearing red long johns carrying a pitchfork? He’s way sneakier than that. Paul knows he schemes to take advantage of us through unforgiveness. I read several commentators and preachers on this text. All make church discipline the main topic. Wrong. Paul’s topic is the need for the church to forgive the penitent sinner. Six times Paul writes “forgive” in one form or another. The church didn’t need to be better at church discipline; they needed to be better at forgiveness. I contend the same is true today. However weak we may be at church discipline, we’re weaker at forgiveness. I would argue that in most congregations on most Sunday mornings sits at least one member with an unforgiving heart toward another. What did Jesus teach us to do if our brother or sister sins against us? “If your brother sins against you, go and show him his fault, just between the two of you. If he listens to you, you have won your brother over” (Matthew 18:15). Sometimes we can forgive our brother in our heart. Often, though, the offense demands a face-to-face meeting. Sure, it’s tough. Sure, he may refuse to listen. But I think we fail most in “church discipline” at this first step: we refuse to try to “make it right” one-on-one. When we don’t, Satan’s got the advantage. The offense we say we’ve forgiven, lurks in our gut. And eventually it morphs into hard-hearted unforgiveness. Not only does that split a segment of the church; it prevents the Father from forgiving us. Then Peter came to Jesus and asked, “Lord, how many times shall I forgive my brother when he sins against me? Up to seven times?” Jesus answered, “I tell you, not seven times, but seventy-seven times. “Therefore, the kingdom of heaven is like a king who wanted to settle accounts with his servants. As he began the settlement, a man who owed him ten thousand talents was brought to him. Since he was not able to pay, the master ordered that he and his wife and his children and all that he had be sold to repay the debt. “The servant fell on his knees before him. ‘Be patient with me,’ he begged, ‘and I will pay back everything.’ The servant’s master took pity on him, canceled the debt and let him go. “But when that servant went out, he found one of his fellow servants who owed him a hundred denarii. He grabbed him and began to choke him. ‘Pay back what you owe me!’ he demanded. “His fellow servant fell to his knees and begged him, ‘Be patient with me, and I will pay you back.’ “But he refused. Instead, he went off and had the man thrown into prison until he could pay the debt. When the other servants saw what had happened, they were greatly distressed and went and told their master everything that had happened. “Then the master called the servant in. ‘You wicked servant,’ he said, ‘I canceled all that debt of yours because you begged me to. Shouldn’t you have had mercy on your fellow servant just as I had on you?’ In anger his master turned him over to the jailers to be tortured, until he should pay back all he owed. “This is how my heavenly Father will treat each of you unless you forgive your brother from your heart.” (Matthew 18:21-35). Take-away: be “amen people”! I don’t mean sing in the choir . . .
“Now this is our boast: Our conscience testifies that we have conducted ourselves in the world, and especially in our relations with you, in the holiness and sincerity that are from God. We have done so not according to worldly wisdom but according to God’s grace. For we do not write you anything you cannot read or understand. And I hope that, as you have understood us in part, you will come to understand fully that you can boast of us just as we will boast of you in the day of the Lord Jesus” (2 Corinthians 1:12-14). Paul points with pride to what his conscience tells him. “Conscience”, writes C.K. Barrett in The Second Epistle to the Corinthians, implies “man’s ability to detach himself from himself and view his character and actions independently.” Paul’s tells them he’s conducted himself in holiness (the Greek word implies “from a pure motive” or “with integrity”) and sincerity. And this, not in the wisdom of a man without the Spirit, but in the wisdom that comes from God’s grace. Paul hopes the Corinthians will become proud of him (“We have this wonderful apostle who brought us the gospel and continues to faithfully care about us! He is a gift from God!). At present, they’re not. Two implications for us. One: our conduct matters. How we live confirms or denies the reality of the gospel we claim to stand for. Two: our conduct can be misunderstood. We can act for righteous and loving reasons and be judged wrong. All we can do then, is what’s right and maybe try to explain ourselves. Of course, in Paul’s case, he was contending with “false apostles” out to discredit him. What brought all this about? Paul specifies . . .
“Because I was confident of this, I planned to visit you first so that you might benefit twice. I planned to visit you on my way to Macedonia and to come back to you from Macedonia, and then to have you send me on my way to Judea. When I planned this, did I do it lightly? Or do I make my plans in a worldly manner so that in the same breath I say, “Yes, yes” and “No, no”? But as surely as God is faithful, our message to you is not “Yes” and “No.” (2 Corinthians 1:15-18). On what ground can Paul make claims like that? “For the Son of God, Jesus Christ, who was preached among you by me and Silas and Timothy, was not “Yes” and “No,” but in him it has always been “Yes.” For no matter how many promises God has made, they are “Yes” in Christ. And so through him the “Amen” is spoken by us to the glory of God” (2 Corinthians 1:19, 20). First, writes Paul, God’s Son, Jesus Christ, who they preached to the Corinthians, is God’s great YES. Everything God has promised—right, all of it—is fulfilled with absolute certainty in Christ. The statement is breathtaking. Forgiveness. Healing. Resurrection. Steadfast love. Peace. Joy. Justice. New, eternal creation peopled by new, eternal-life people. All are fulfilled with absolute certainty in the One Person, God’s Son, Jesus Christ. Recognizing this, all believers say “Amen”. The word is a transliteration from the Hebrew “Amen”—a solemn declaration that what is spoken is indeed true. Therefore, through the certain fulfillment of God’s promises that Jesus Christ is, believers respond by solemnly declaring this is indeed true. “Amen”, then, is a bold word of committed faith. And, for Paul, this “Amen” influences word and conduct. Because Jesus Christ is God’s “Amen”, and because we respond with our “Amen”, we are to be “Amen” people—people who act with sanctified motives and absolute integrity. People who do what we say. From where comes that ability? “Now it is God who makes both us and you stand firm in Christ. He anointed us, set his seal of ownership on us, and put his Spirit in our hearts as a deposit, guaranteeing what is to come. I call God as my witness that it was in order to spare you that I did not return to Corinth. Not that we lord it over your faith, but we work with you for your joy, because it is by faith you stand firm” (2 Corinthians 1:21-24). This “Amen” ability comes from God. He makes us “stand firm in Christ.” He “anointed us” (by the Spirit). He “set his seal of ownership (the Spirit) on us.” He “put his Spirit in our hearts”—“a deposit guaranteeing” his promised future for us. So we say Amen “to the glory of God” (1:20). Finally, Paul applies all this to his change of plans . . .
“So I made up my mind that I would not make another painful visit to you. For if I grieve you, who is left to make me glad but you whom I have grieved? I wrote as I did so that when I came I should not be distressed by those who ought to make me rejoice. I had confidence in all of you, that you would all share my joy. For I wrote you out of great distress and anguish of heart and with many tears, not to grieve you but to let you know the depth of my love for you” (2 Corinthians 2:1-4). When Paul had first heard of Corinthian trouble, he paid a quick Ephesus-to-Corinth visit. It went badly. And with new trouble at hand, he didn’t want any more pain for anyone. Furthermore, he wanted to assure them that, however harsh his “lost” letter (lost to us) might have sounded, he had written with tears of love over the state of their souls. By that I mean, first, through Christ say “Amen” to God’s glory. In other words, confess that God fulfills all his promises in Jesus Christ. Don’t treat God as the generic God of American culture. God has come among us in his Son, who is himself God. He has come, was crucified, resurrected and ascended into heaven, and will come again. In him–in Jesus who is the Christ–God fulfills everything he has promised. Say, “Amen. Certainly it is so. I believe it. I confess it. I stand on the rock. I say and sing “amen” to the glory of God in Christ. Amen, Father. May it be. 2 Corinthians is a deeply personal letter. Paul is less the doctrine-teacher, more the man pouring out his heart to a church rejecting him and “his” gospel. To understand the situation let’s reconstruct events . . .
Paul planted the Corinthian church on his second missionary journey (50 or 51 A.D.) After 1 ½ years in Corinth, he went to Ephesus for 2 ½ years. While there, Paul received reports of divisions in the Corinthian church. Additionally, three men from Corinth brought him a letter from Corinth asking questions about Christian belief and behavior. Late 54 A.D., Paul wrote 1 Corinthians in response. Paul sent the letter with Timothy, who found the situation in Corinth worse than expected. Consequently, Paul made an urgent visit in spring 55 A.D.. It became a “painful” one (2 Corinthians 2:1). The Corinthians had ignored Paul’s letter (1 Corinthians) and embraced new leaders who belittled Paul and mocked his apostleship. Paul remained only briefly in Corinth and returned to Ephesus. From there, probably in the summer of 55 A.D., Paul wrote another letter (2 Corinthians 2:4,9) rebuking the Corinthians (the so-called “lost letter”). Titus delivered it. Meanwhile, Paul remained in Ephesus where he faced intense opposition (2 Corinthians 1:8-10). In late 55 A.D. he left and went to Troas, hoping to meet Titus to hear how the church had responded to his rebuke-letter. Titus wasn’t there. Paul went on to Macedonia. Finally, Titus arrived with some good news (2 Corinthians 7:5ff) and some bad. The Corinthians had responded well, but a group of “false apostles” had taken over the church and undermined Paul’s apostleship and authority. So, in late 55 or early 56 A.D. Paul wrote 2 Corinthians, hoping to prepare the church for his final visit to them. After greeting them (“What’s in a Salutation?” http://theoldpreacher.com/whats-in-a-salutation/) Paul expresses praise to God . . . Praise be to the God and Father of our Lord Jesus Christ, the Father of compassion and the God of all comfort, who comforts us in all our troubles, so that we can comfort those in any trouble with the comfort we ourselves have received from God (2 Corinthians 1:3,4). This is a bold beginning for Paul’s letter. To the Corinthians, being “spiritual” means living above or apart from “troubles.” Paul not only admits troubles, but affirms in them God is particularly at work. 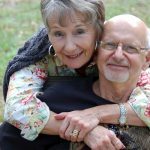 God’s got a purpose: “so that we can comfort those in any trouble with the comfort we ourselves have received from God.” The successful “spiritual” life is not affliction-free. Believers face affliction, and God uses troubles to equip his people to minister comfort to one another. For just as the sufferings of Christ flow over into our lives, so also through Christ our comfort overflows. If we are distressed, it is for your comfort and salvation; if we are comforted, it is for your comfort, which produces in you patient endurance of the same sufferings we suffer. And our hope for you is firm, because we know that just as you share in our sufferings, so also you share in our comfort (2 Corinthians 1:5-7). Why must believers endure “troubles”? “ . . . the sufferings of Christ flow over into our lives . . . “ The treatment Jesus endured is the same treatment those who are his must. It’s the nature of the Christian life. Hear now how the apostle opens his heart to the church . . .
We do not want you to be uninformed, brothers, about the hardships we suffered in the province of Asia. We were under great pressure, far beyond our ability to endure, so that we despaired even of life. Indeed, in our hearts we felt the sentence of death. But this happened that we might not rely on ourselves but on God, who raises the dead. He has delivered us from such a deadly peril, and he will deliver us. On him we have set our hope that he will continue to deliver us, as you help us by your prayers. Then many will give thanks on our behalf for the gracious favor granted us in answer to the prayers of many (2 Corinthians 1:8-11). Paul couldn’t state his affliction “in the province of Asia” (probably the Ephesus city-wide riot against him–Acts 19:21-41 ) more honestly and humbly—“under great pressure, far beyond our ability to endure, so that we despaired even of lie . . . in our hearts we felt the sentence of death.” It’s a glimpse into the apostle’s heart the Acts narrative doesn’t give. Whether or not Paul is implying that the Corinthians, too, have to learn this God-reliance lesson isn’t certain. What is certain is that Paul, from personal experience, is saying that such hopeless affliction is part of God’s intention for his people. We mustn’t miss this: Paul is using himself as an example to argue that suffering is not a sign of inferior spirituality. Rather, it is part and parcel of the Christian life—both an occasion for God to reveal his delivering power and an occasion for the Christian to learn better to rely on God. Which brings us to a serious point of application. Dr. Sam Storms (a charismatic-Calvinist [!] who pastors Bridgeway Church in Oklahoma City) observes . . .
And James Denney (19th century Scottish theologian and preacher) wrote . . .
“How do most of us attain to any faith in Providence? Is it not by proving, through numberless experiments, that it is not in man that walketh to direct his steps? Is it not by coming, again and again, to the limit of our resources, and being compelled to feel that unless there is a wisdom and a love at work on our behalf, immeasurably wiser and more benign than our own, life is a moral chaos? . . . Only desperation opens our eyes to God’s love“. Based on Paul’s words in 2 Corinthians 1:3-11, I think he’d answer YES. For decades I relied on God and “saw” his love. Apparently not not nearly as much as I thought. God knew all along that my faith was immature at worse and inferior at best. So now, here I am, often despairing of my life as it is–always desperate for the power of God’s love to be revealed in me. I want to walk. I long for everything else broken in me to be fixed. Until then, I crave sufficient grace, the power of Christ to rest on me. Why this condition, God? This happened so that I might rely not on myself, but on God who raises the dead. Do I dare risk desperation and pray, “Teach me, Father”? Do we dare risk desperation and pray, “Teach us, Father”? Up to now, we’ve followed Piper as he’s examined the Bible’s claim for itself that it’s the true and trustworthy word of God. But is that claim true? 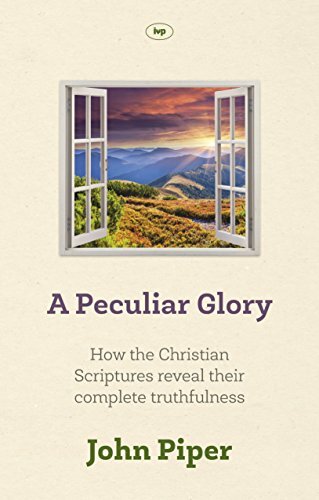 This book is also available to be read free online at http://www.desiringgod.org/books/peculiar-glory. Is the Bible that? And, therefore, should we bring our lives into line with what it teaches? Piper answers both with a resounding YES. How do we know this? That’s an urgent question, because “the Bible teaches . . . the way to escape the wrath of God and enter into eternal life and . . . [it] shapes the way we live in this life” (Piper, p. 128). It doesn’t teach merely job training skills or money management. It deals with eternal issues. Piper recalls the season in his life he spent studying the historical reasoning of scholars. What do they teach about how we can know the Bible is the true word of God? But then he realized most people won’t have the training or time to study such arguments in support of the faith. Yet, “the Bible assumes there is a basis for firm and justified knowledge that what it teaches is true. For example . . .
“If historical reasoning is the only way by which men can attain faith, then faith becomes the possibility for only the few who can think historically, and faith for the common man is possible only if he is willing to commit himself to the authority of a priesthood of historians” (Daniel Fuller, Professor Emeritus of Fuller Theological Seminary). Is there another way for “ordinary” people to have firm knowledge that the Bible is true apart from scholarly, historical training? Jonathan Edwards (17th century Puritan theologian) maintains that people can have “a certainty of divine things” founded on “real evidence” and “good reason” (Piper, p. 134)—yet apart from historical, scholarly reasoning. “Beloved, do not believe every spirit, but test the spirits to see whether they are from God” (1 John 4:1). “As his custom was, Paul went into the synagogue, and on three Sabbath days he reasoned with them from the Scriptures, explaining and proving that the Christ had to suffer and rise from the dead. ‘This Jesus I am proclaiming to you is the Christ,’ he said” (Acts 17:2,3). Piper concludes that Paul thought that reasoning and explaining were proper ways to lead people to a well-grounded faith. Reasoning and explaining shouldn’t replace faith, but serve as a foundation for faith. Piper: “ . . . the nature of the object of faith dictates the nature of the ‘real evidence’ for its reality.” For example, if the object of faith is honey, the nature of the real evidence would be taste. According to Jonathan Edwards, “ . . . the object of true saving conviction is ‘the great things of the gospel’” (Piper, p. 137). But (and this is crucial), for Edwards “the object of our faith is not merely the factuality of the gospel, but also ‘the holy beauty and [loveliness] that is in divine things’” (Piper, p. 137). “Holy beauty and loveliness” in “divine things” constitute the nature of faith’s object. “ , , , the nature of what we need to know determines how we can know it. If the glory of God in the gospel is what we must know . . . then the eyes to see this glory are not merely the eyes of our head, but ‘the eyes of our heart’” (Ephesians1:18) (Piper, p. 138). Well-grounded faith, then, is not only reasonable, but spiritual—that is, enabled by the Holy Spirit. We need what Peter experienced . . .
“Simon Peter answered, ‘You are the Christ, the Son of the living God.’ Jesus replied, ‘Blessed are you, Simon son of Jonah, for this was not revealed to you by man, but by my Father in heaven’” (Matthew 16:16,17). “And even if our gospel is veiled, it is veiled to those who are perishing. The god of this age has blinded the minds of unbelievers, so that they cannot see the light of the gospel of the glory of Christ, who is the image of God. For we do not preach ourselves, but Jesus Christ as Lord, and ourselves as your servants for Jesus’ sake. For God, who said, ‘Let light shine out of darkness,’ made his light shine in our hearts to give us the light of the knowledge of the glory of God in the face of Christ” (2 Corinthians 4:3-6). The mark of the unbeliever is blindness to “the light of the gospel of the glory of Christ”. He may know the facts of the gospel, but he cannot see the glory. So we need spiritual intervention to see the gospel’s glory. The glory of Christ in the gospel is not subjective (we bring glory to it), but objective (it is really there). “Edwards asks, ‘What is the basis for firm and justified knowledge of the truth of the gospel?’ He answers, ‘The glory of God’s moral perfections’ shining truly and objectively ‘in the face of Jesus Christ’ in the gospel—’the doctrines there taught, the word there spoken, and the divine counsels, acts and works there revealed’” (Piper, p. 142). What is the “glory of God’s moral perfections shining in the face of Jesus Christ?” Piper answers . . . The glory that the disciples saw in Jesus, and that we see when he is faithfully portrayed, was the moral beauty of a man whose food was to do the will of his Father in heaven (John 4:34). He never desired to seek his own glory at anyone’s innocent expense, but always sought his Father’s glory, even to the point of death . . . It is this beautiful, self-emptying allegiance of Jesus to the Father’s glory that stamps him as true and confirms our faith (p. 143). The one who proclaims the beauty of Christ embodies the beauty of Christ. He surrenders his freedom and becomes a slave to serve others . . .
“For what we proclaim is not ourselves, but Jesus Christ as Lord, with ourselves as your servants for Jesus’ sake” (Philippians 2:5). “For we do not preach ourselves, but Jesus Christ as Lord, and ourselves as your servants for Jesus’ sake” (2 Corinthians 4:5). “The god of this age has blinded the minds of unbelievers, so that they cannot see the light of the gospel of the glory of Christ, who is the image of God. For we do not preach ourselves, but Jesus Christ as Lord, and ourselves as your servants for Jesus’ sake. For God, who said, ‘ Let light shine out of darkness,’ made his light shine in our hearts to give us the light of the knowledge of the glory of God in the face of Christ” (2 Corinthians 4:4-6). Piper asserts that verse 5, sandwiched between 4 and 6 reveals that people come to a well-grounded, saving knowledge of the truth “by a combination of human communication and divine illumination of God’s glory” (p. 145). The unbeliever is ignorant of the truth because he is demonically, spiritually blind. By God’s grace he “comes to his senses” and sees the truth. Piper explains that his reference to “the gospel” is just a “shorthand way” of speaking of all Scripture. “The path we have been describing toward a well-grounded conviction of the truth of the gospel is the same path that leads to a well-grounded conviction of the truth of the Scriptures” (p. 147). 2 Corinthians, then, reveals that the presence or absence of saving faith depends on spiritual blindness or sight. This, then, is the “good reason” or “just ground” for authentic faith in the gospel/Scriptures. Thus, coming to the Scriptures, whether to listen or read, we’re dependent on God the Holy Spirit. Intellect and scholarly knowledge alone won’t convince anyone the Bible is the true Word of God. Nor will it give us a reverent heart to humbly receive the words as God’s. This explains why many intelligent, well-educated people can read it and dismiss it. It also explains why ordinary people like us “get it”. Our only response is to bow before God’s sovereignty. And to thank him for the gracious gift of the Holy Spirit who opens our eyes to see the words on the page of the Book as God’s words to us. Salutation. Not an exotic salad I’m going to reveal the ingredients of. It’s “the word or phrase of greeting (as Gentlemen or Dear Sir or Madam) that conventionally comes immediately before the body of a letter” (Merriam-Webster). (If you’re a texting-person, you probably have no idea what I’m talking about.) New Testament salutations we typically skim. Just the same-old greetings. Let’s get on to the important stuff! But in 2 Corinthians 1:1,2 there’s gold to be mined. First, though, a glimpse of . . .
First-century Corinth has a population estimated as high as 200,000. Every race and religion is represented. Two harbors and a strategic location make it a major commercial center in southern Greece. The city is notorious for morally-depraved living–a Wild West kind of place. Every pagan cult has a following here. Temple prostitutes number close to 1,000. “Corinthianize” is a word coined to signify the city’s sexual pleasures. D.A. Carson (Research Professor of New Testament, Trinity Evangelical Divinity School) comments . . . In the spring of 55 A.D. Paul makes an urgent visit to the church to try to restore strained relationships. It becomes “a painful visit” (2 Corinthians 2:1). The church largely ignored Paul’s 1 Corinthians’ instructions and are now listening to so-called apostles who oppose and belittle Paul. Consequently, the church is mocking the apostle: “His letters are weighty and strong, but his bodily presence is weak, and his speech is of no account” (10:10). “Paul, an apostle of Christ Jesus by the will of God, and Timothy our brother, To the church of God in Corinth, together with all the saints throughout Achaia: Grace and peace to you from God our Father and the Lord Jesus Christ” (2 Corinthians 1:1,2). Paul identifies himself as an apostle of Messiah Jesus by the will of God. His claim to be officially sent by the Messiah according to God’s will contradicts the Corinthians’ mockery. He’s not to be trifled with. Not because of who he is but because of the authority of Jesus who sent him. “Grace . . . to you” is more than a standard greeting starting ancient letters. For Paul it is a prayer from the heart for God’s favor and power to be released into the lives of the Corinthians. And he believes God’s grace will be released to the church in the words of his letter. John Piper explains: ” . . . at the beginning of his letters Paul has in mind that the letter itself is a channel of God’s grace to the readers. Grace is about to flow ‘from God’ through Paul’s writing to the Christians. So he says, ‘Grace to you.’ That is, grace is now active and is about to flow from God through my inspired writing to you as you read — ‘grace [be] to you'” (Future Grace, p. 66-67). This is remarkable–and brings us to . . . I watch a contemporary jeans-clad preacher pace the platform, holding the Bible folded over as if it were an ordinary soft-cover book. 0 I cringe. I hear him read the text as casually as if it were the “The New York Times”. And I wonder how anyone can read God’s words like that. Some preachers attract such attention to themselves that they would accomplish more if they just reverently read the Bible to their listeners. I’m certainly not putting down preaching. But what’s important is God’s words, not the preacher’s. To say it another way, God’s grace comes to us through God’s words. So it is when we read his words. “Grace . . . to you”, wrote Paul–expecting that God’s favor and power would be released when the believers read what he’d written “breathed out” by God. When we open our Bible, we can potentially encounter God the Holy Spirit. His favor–his kindness we don’t deserve, his preferential treat we don’t merit–can be released to us. In the same way, his power can be freed to flow. The form that grace takes is up to the Giver. It may be increased faith, insight that heightens our wonder of him, healing for our spirit or body, deepened love for him and others, conviction of sin that calls for repentance, a comforting sense of his presence, peace in the midst of chaos, assurance of forgiveness, a brighter hope because he holds tomorrow. But we can’t approach the Bible as if it were just another–even religious–book. Come with reverence. Come with prayer. Come with a mind recognizing the book contains God’s words. Come with a heart hungry for grace. With this book, we’re asking one of the most profound questions possible: Is the Bible so trustworthy in all that it teaches that it can function as the test to all other claims to truth? We have to know the answer because we appeal to the Bible as the final authority: “The Bible says . . . “ What Piper provides isn’t courtroom-proof, but assurance for our faith. In this chapter, he deals with the claims the apostolic writings make for themselves . . .
Jesus Christ has “all authority in heaven and on earth” (Matthew 28:18; see also Matthew 7:28,29; 11:27; 16:18; 24:35; 25:31,32; Luke 4:35,36; 8:24; John 14:6). Therefore, all apostolic authority derives from him. Jesus is Lord of all (Acts 10:36). Jesus is God (John 1:1). The words the Old Testament applied to Yahweh, the apostle applies to the risen Jesus (Romans10:11; 1 Corinthians1:31; 2 Corinthians 10:17; Ephesians 4:8; Philippians 2:10). “Throughout the New Testament, Jesus’ witness is considered divine, true, infallible. He is the Logos who makes known the Father (John 1:18; 17:6), the faithful and true witness (Revelation 1:5; 3:14; cf. Isaiah 55:4), the Amen in whom all the promises of God are ‘Yes’ and ‘amen’ (Revelation 3:14; 2 Corinthians 1:20). There was no guile . . . on his lips (1 Peter 2:22). He is the apostle and high priest of our confession (Hebrews 3:12; 1 Timothy 6:13). He does not speak [from himself] like Satan who is a liar (John 8:44), but God speaks through him (Hebrews 1:2). Jesus was sent by God (John 8:42) and bears witness only to what he has seen or heard (John 3:32). He speaks the words of God (John 3:34; 17:8) and only bears witness to the truth (John 5:33; 18:37). For that reason his witness is true (John 8:14;14:6), confirmed by the witness of God himself (John 5:32,37; 8:18)” (Herman Bavink, Dutch Reformed Theologian of the Free University of Amsterdam; Piper, p. 117). This is the place Jesus held in the minds of the New Testament writers. “Jesus’ purpose was to spread a movement, in his name and for his glory, to all the peoples of the world (Matthew 28:18-20). He aimed to gather a redeemed people into churches (Matthew 18:17). And he aimed that they would live under the authority of his teaching until the end of the age (Matthew 7:24-27) . . . From the beginning of his ministry Jesus was preparing for the transmission of his authority to his church through authorized spokesmen who would teach with his authority, commit their teachings to writing and leave a body of inspired writings through which Christ would govern his church until his return” (Piper, p. 117,118). “He appointed twelve–designating them apostles–that they might be with him and that he might send them out to preach” (Mark 3:14) . . . “ . . . [Father,] I gave them the words you gave me” (John 17:8a). “ . . . the way Jesus secured the reliability of the apostles’ representative work was to promise them the special help of the Holy Spirit, the Spirit of truth . . . “ (Piper, p. 120). “All this I have spoken while still with you. But the Counselor, the Holy Spirit, whom the Father will send in my name, will teach you all things and will remind you of everything I have said to you” (John 14:25,26). The apostles spoke, not on their own or of their own ideas, but as men under authority. “Unlike so many, we do not peddle the word of God for profit. On the contrary, in Christ we speak before God with sincerity, like men sent from God” (2 Corinthians 2:17). After Judas’ death, he was to be replaced according to the following criteria . . .
“Therefore it is necessary to choose one of the men who have been with us the whole time the Lord Jesus went in and out among us, beginning from John’s baptism to the time when Jesus was taken up from us. For one of these must become a witness with us of his resurrection” (Acts 1:21,22). Their ministry was foundational . . .
“Consequently, you are no longer foreigners and aliens, but fellow citizens with God’s people and members of God’s household, built on the foundation of the apostles and prophets, with Christ Jesus himself as the chief cornerstone” (Ephesians 2:19,20). Paul saw his apostolic authority as given by the Lord himself. “For even if I boast somewhat freely about the authority the Lord gave us for building you up rather than pulling you down, I will not be ashamed of it” (2 Corinthians 10:8). Paul saw the gospel he preached was foundational and the truth over against all other “gospels”. “But even if we or an angel from heaven should preach a gospel other than the one we preached to you, let him be eternally condemned! As we have already said, so now I say again: If anybody is preaching to you a gospel other than what you accepted, let him be eternally condemned! Am I now trying to win the approval of men, or of God? Or am I trying to please men? If I were still trying to please men, I would not be a servant of Christ” (Galatians 1:8-10). Paul held that he preached, not the word of men, but the word of God. 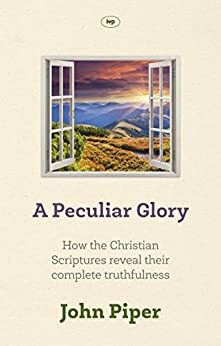 Piper concludes: “Paul claims that in fulfillment of Jesus’ promise to send his Spirit to guide the apostles into truth (John 14:25,26), he was inspired by the Spirit to write truth that was essentially on a par with the inspired and authoritative Old Testament Scriptures” (p. 123). “The claim of the apostles to speak with unerring truthfulness in Christ by the Holy Spirit is the organic outgrowth of the Old Testament hope and of the incarnation of the Son of God as Jesus the Messiah” (Piper, p. 124). We commonly consider people who claim to speak for God nut-jobs. So what to do with these apostles? Furthermore, they claimed Jesus of Nazareth fulfilled Old Testament messianic prophecies and was (is) the eternal Son of God. From him they believed they derived their authority to write God’s words. We mustn’t let a casual reading of the New Testament lighten the weight of their claim. Either we believe what they believed or we reject it. They haven’t left us any more-comfortable, middle ground. Someday our children will ask, “What’s a letter?” Texts and emails have taken over. When we used to write letters, we would often end them with a few “loose ends” and personal greetings. That’s what Paul did at the end of 1 Corinthians. “Be on your guard; stand firm in the faith; be men of courage; be strong. Do everything in love” (16:13,14). “Be on your guard” (or, “Be watchful”) against what? Preaching that favors eloquence over substance, that elevates human “wisdom” over the cross’ power . . .
“For Christ did not send me to baptize, but to preach the gospel, and not with words of eloquent wisdom, less the cross of Christ be emptied of its power. For the word of the cross is folly to those who are perishing, but to us who are being saved it is the power of God. For it is written, ‘I will destroy the wisdom of the wise, and the discernment of the discerning I will thwart’” (1:17-19). To be watchful and stand firm in “the faith” (that is, the gospel) requires courage and strength. This is because new ideas are attractive and appear “progressive”. To “ask for the ancient paths” and to “walk in them” (Jeremiah 6:16) is to be out of touch with the “new thing” whose newness makes it better. The faith “once for all delivered to the saints” must be contended for (Jude 1:3). But, urges Paul, stand guard with courage, stand strong in the faith “in love.” If the church contends for gospel truth with rancor and enmity, we have defeated ourselves and shamed our Lord. We can be good at obeying Paul’s first four imperatives and lousy at love. That’s especially ironic, because the gospel is “the word of the cross” which, in itself, calls us to humble, sacrificial love. While the faith must be held firmly, it also must be lived out—which brings us to . . .
“You know that the household of Stephanas were the first converts in Achaia, and they have devoted themselves to the service of the saints. I urge you, brothers, to submit to such as these and to everyone who joins in the work, and labors at it. I was glad when Stephanas, Fortunatus and Achaicus arrived, because they have supplied what was lacking from you. For they refreshed my spirit and yours also. Such men deserve recognition” (16:15-18). Stephanas’ family put into practice the doctrinal centrality of the cross by devoting themselves “to the service (Greek, diakonos) of the saints” (believers sanctified in Christ). In other words, they didn’t pride themselves on doctrinal purity, but put it in action. Paul urges the church to follow their example (“submit to”) and wants them to be honored. “ . . . what was lacking from you” probably means these three men provided representative personal contact with the church. Paul has had no personal contact with the Corinthians for some time. Churches need families like Stephanas’. Vital “service of the saints” by ordinary saints is lost when we professionalize ministry by hiring large paid staffs. I get how busy everyone is these days (despite all our modern conveniences! ); but it seems to me smaller churches with more “lay” ministry is much to be preferred to professionalism. Let’s not romanticize ministry, though. Whatever form it takes (preaching, teaching, worship leading, feeding the poor, cleaning the building, etc., etc. ), ministry (service) in the church is work. But that’s how the healthy Body functions—with each part doing its work. Paul concludes with greetings, a kiss, a confirmation, a curse, a word of grace and an expression of love. “The churches in the province of Asia send you greetings. Aquila and Priscilla greet you warmly in the Lord, and so does the church that meets at their house. All the brothers here send you greetings. Greet one another with a holy kiss. I, Paul, write this greeting in my own hand. If anyone does not love the Lord– a curse be on him. Come, O Lord! The grace of the Lord Jesus be with you. My love to all of you in Christ Jesus. Amen” (16:18-24). Greetings from churches outside Corinth remind the Corinthians they’re part of something bigger than themselves. Paul is always concerned for unity among the churches, not just in. The admonition, “Greet one another with a holy kiss” is interesting, since there are divisions among them. The kiss is a common greeting-form—“holy” because it’s among those sanctified in Christ Jesus. Paul has made use of a “secretary.” Now he authenticates his letter by writing “this greeting in my own hand.” Do false letters circulate purporting to be from Paul? “Come, O Lord!” (Greek, marana tha) is an early church prayer reflecting the believer’s hope (see 1 Corinthians 15:50-55). “The grace of the Lord Jesus” is Paul’s familiar prayer-blessing. With the increase of “non-denominational” churches isolationism has come. But, like the Corinthians, we’re part of something far bigger than ourselves. We’d be healthier if we practiced that more. But doctrine without practice equals legalism. In today’s text the connection between “the faith” and being “devoted to the service of the saints” seems hidden. But it’s there–a strong chain that can’t be broken. In other words, to hold to the gospel of Christ crucified means humbly, sacrificially serving our brothers and sisters as Christ did us. A classroom where the pastor teaches sound doctrine and students take copious notes must lead to a “foot-washing” room where we serve one another in love. In today’s world where we carry around voices with all sorts of worldviews, we must guard against error and stand first in gospel truth. But, if we don’t live out the gospel of Christ crucified, we become just another voice on a so-called smart phone. What was Jesus’ estimate of the Hebrew Scriptures—(the Old Testament)? That’s John Piper’s question in chapter six of . . .
Jesus referred to the Psalms as the voice of men inspired by the Holy Spirit . . .
“As Jesus taught in the temple, he said, ‘How can the scribes say that Christ is the son of David? David himself in the Holy Spirit declared, “The Lord said to my Lord, ‘Sit at my right hand until I put your enemies under your feet”’” (Mark 12:35-37). When Jesus taught about divorce, he grounded his view on Moses’ words in the creation account. Jesus saw Moses’ words as God’s words . . .
“Some Pharisees came to him to test him. They asked, ‘Is it lawful for a man to divorce his wife for any and every reason?’ ‘Haven’t you read,’ he replied, ’that at the beginning the Creator made them male and female,’ and said, ‘For this reason a man will leave his father and mother and be united to his wife, and the two will become one flesh’? So they are no longer two, but one. Therefore what God has joined together, let man not separate’” (Matthew 19:13-16). To repeat, Jesus saw the creation narratives of Moses as what God himself said. “‘We are not stoning you for any of these,’ replied the Jews, ‘but for blasphemy, because you, a mere man, claim to be God.’ Jesus answered them, ‘Is it not written in your Law, “I have said you are gods”? If he called them”‘gods,'”to whom the word of God came– and the Scripture cannot be broken– what about the one whom the Father set apart as his very own and sent into the world? Why then do you accuse me of blasphemy because I said, “I am God’s Son”‘”? (John 10:33-36). Jesus reinforced that truth in this more-familiar statement . . .
“I tell you the truth, until heaven and earth disappear, not the smallest letter, not the least stroke of a pen, will by any means disappear from the Law until everything is accomplished” (Matthew 5:28). WILL THEY LEAD YOU TO ERR? The Sadduccees set a verbal trap for Jesus. Whose wife will a seven-time married woman be in the resurrection? (Mark 12:19-23). Jesus responds, “Are you not in error because you do not know the Scriptures or the power of God?” (Mark 12:24) In other words, Piper writes, “If you knew [the Scriptures] and the power of God they teach, and the implications they carry for the resurrection of the body, you would have been protected in this matter” (p. 104). So, knowing the Scripture will keep us from error in the issue they’re addressing. Jesus considers God’s Word true and powerful. Here he relies on it to defeat the adversary, and, in so doing, becomes a model for us. The tempter came and said to him, “If you are the Son of God, command these stones to become loaves of bread.” But he answered, “It is written, ‘One does not live by bread alone, but by every word that comes from the mouth of God. '” Then the devil took him to the holy city and placed him on the pinnacle of the temple, saying to him, “If you are the Son of God, throw yourself down; for it is written, ‘He will command his angels concerning you,’ and ‘On their hands they will bear you up, so that you will not dash your foot against a stone. '” Jesus said to him, “Again it is written, ‘Do not put the Lord your God to the test. '” Again, the devil took him to a very high mountain and showed him all the kingdoms of the world and their splendor; and he said to him, “All these I will give you, if you will fall down and worship me.” Jesus said to him, “Away with you, Satan! for it is written, ‘Worship the Lord your God, and serve only him.’” (Matthew 4:3-10). “[Jesus’ showed that if you don’t believe God’s Word in the Old Testament, there is a kind of blindness that will keep you from seeing the truth about hell and about Jesus” (Piper, p.106). There are two occasions when Jesus called attention to this peculiar nature of the Old Testament. First, the story of the rich man and Lazarus. Both die and go to different places. The rich man begs Father Abraham to warn his brothers of this place of torment. Abraham replies, “They have Moses and the Prophets.” “Not enough,” says the rich man. Show them someone resurrected from the dead.” Abraham answers, “If they do not hear Moses and the Prophets, neither will they be convinced if someone rises from the dead” (Luke 16:22-31). In other words, “ . . . wherever there is a spiritual deafness to the voice of God in the Old Testament, mere external miracles will not cure that spiritual deafness” (Piper, p. 108). Second, John 5:39-47 . . .
Piper concludes, “This means that Jesus believed there was a kind of self-authenticating beauty and truth in the Old Testament that proved to be the litmus test of whether you were spiritually prepared to see the glory of Christ when he reveals himself in history and in the gospel” (p. 109). Then he took the twelve aside and said to them, “See, we are going up to Jerusalem, and everything that is written about the Son of Man by the prophets will be accomplished. For he will be handed over to the Gentiles; and he will be mocked and insulted and spat upon. After they have flogged him, they will kill him, and on the third day he will rise again.” (Luke 18:31-33). A few other examples—Mark 11:15-17; Matthew 13:13,14; Luke 4:16-21; Mark 9:11-13; John 13:18; Luke 22:37. “Jesus had an unparalleled position in history for making such an estimate. His relationship with the Old Testament was unique. He was there at its composition, guiding the prophets (1 Peter 1:11), and then he came into history and looked at the very book he guided into being . . . He alone, in all of history, was active as an author, a theme, a fulfillment, and an assessor of the Old Testament. Therefore, his assessment carries extraordinary force” (Piper, p. 112). With Piper, we’re asking, “Is the Bible completely true? Is it so trustworthy in all that it teaches that it can function as the test to all other claims to truth?” In this and a few preceding chapters, we’re asking those questions of the Old Testament.” Here we‘ve learned Jesus answers with a resounding yes. So when we open and read it (even some of its “strange” spots), we can trust it as true. In a culture that refers to truth as opinion, we can say with Jesus, “These Hebrew Scriptures are true truth!” In a life marred by suffering and pain, we can stake our lives on this Word.